Lion Garden Statue Outdoor Sculpture. 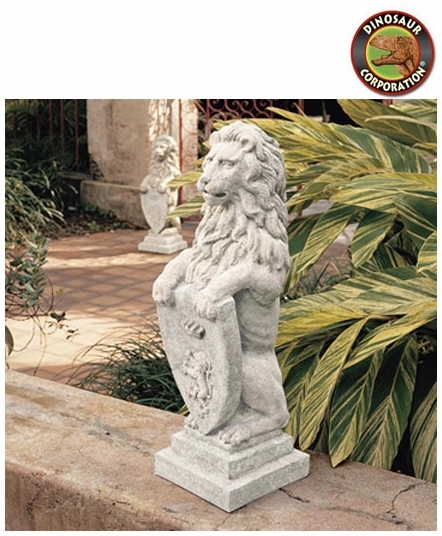 Make your home a castle with our stately lion, replicated from the weathered, centuries-old, Welsh stone original. Though he appears to be carved from heavyweight pitted stone. * Size of each: 12" W x 10�" D x 31�" H.
* Each weight: 15 lbs.